Consumer spending on Valentine’s Day gifts results in major retail sales. Valentine's Day means big business for the card and flower industries. For retailers across the country, Valentine’s Day is more than just a little holiday to celebrate love. Consumer spending on Valentine’s Day gifts results in major retail sales, that help many businesses meet their bottom line each year. 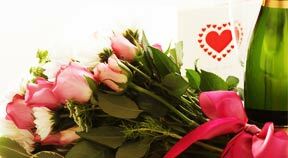 Nikoleta Panteva, senior analyst at IBISWorld, says that Valentine’s Day spending totaled $18.6 billion in 2011. Panteva says the average person spent an estimated $125.47 on Valentine’s Day in 2011. Kemberly King, a Business instructor at South University — Online Programs, says compared with other holidays, retail sales for Valentine’s Day ranks second, right behind that for the combined total of Christmas, Hanukkah, and Kwanzaa. Pampering significant others with Valentine’s Day gifts accounts for the majority of the retail sales in connection with the holiday, but King says in 2011 people also spent approximately $6 on friends, $5 on classmates and teachers, $5 on pets, and $3.50 on co-workers. Retailers who do best during Valentine’s sales include candy sellers, jewelers, and restaurants. King says young adults, ages 25-34, spend the most on Valentine’s Day gifts. She says men spend twice as much as women. Valentine’s Day spending has fluctuated in recent years, which could be representative of economic conditions at the time, King says. This is good news for many retailers as King says that businesses, such as Hallmark, really depend on retail sales from Valentine’s Day gifts. Panteva says IBISWorld breaks Valentine’s Day spending out by concluding that 47.4% accounts for dining out, 13.9% candy, 11.6% romantic getaways, 8.5% flowers, 7.8% jewelry, 6.3% clothing and lingerie, and 4.4% greeting cards. Frank Cirillo, senior communications specialist at American Greetings, says Valentine’s Day is the second-most popular holiday for sending cards, falling behind only Christmas. Cirillo says American Greetings is able to market a wide variety of Valentine’s Day cards to consumers, because every shopper isn’t looking for the same type of greeting. Cirillo says American Greetings also focuses on having the freshest content and most innovative greetings available, to stay ahead of their competition and give consumers new Valentine’s Day products to choose from each year. “This year we’ve achieved this goal with all-new Valentine’s Day collections from singer-songwriter Taylor Swift and best-selling card artist Kathy Davis, an elegant line of innovative greetings featuring synchronized music and lights called Zonk™, and the completely unique offerings from our JustWink paper cards and app,” Cirillo says. Cirillo says American Greetings Valentine’s Day items are out in stores as early as the day after Christmas at some retail locations. Challenging economic times the past few years hasn’t had an impact on the company’s Valentine’s Day sales, Cirillo says. “We have seen consistent Valentine’s Day sales for the past few years and expect the same in 2012,” Cirillo says. Chad Freytag, owner of Freytag’s Florist, in Austin, Texas, says that Valentine’s Day is his business’ biggest holiday. Freytag says flowers and plants are his biggest selling Valentine’s Day gifts. “Roses are typically the most popular but we also sell several assorted bouquets with five or more varieties of flowers in them,” Freytag says. Freytag’s Florist also offers other Valentine gifts such as chocolate covered strawberries, teddy bears, and balloons. Freytag says customers are able to place Valentine’s Day orders as early as they please. “Orders start ramping up two weeks before Valentine’s and we see more the closer we get to the day,” Freytag says.